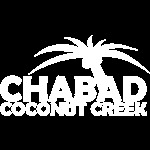 You Can reach us best by email - Orders@ChabadFlorida.com. You can also call 561-929-7729. A regular shofar is a raw shofar, cleaned. You must saw and drill it. Great for each kid to make, or as a demonstration shofar. Where is a Drilled Shofar? That means that we have cleaned the shofars, sawed the shofars, and drilled the shofars. For you - its hassle-free. All that is left is the option of polishing it! This is great to give out to each kid with no bother, and no mess! What is a specialty package? A specialty package consists of many different unique shofars. This makes a great presentation, where you go through the different animals, whether or not they are kosher, and if you can use their horn on Rosh Hashana. Cow Horn, Cartilage, Ram Horn, Ginzbuck, Gizelle, Small "travelling" shofar, and a Water Buffalo. Specialty Package #2 includes all of #1 plus the big antelope kudu. This is a great add-on to your presentation! What makes an animal kosher? You know the answer..but do the kids? if they CHEW THEIR CUD AND HAVE SPLIT HOOVES! What is a split-hoove? LET THEM SEE! Split hoof @ $55.00 AVAILABLE.